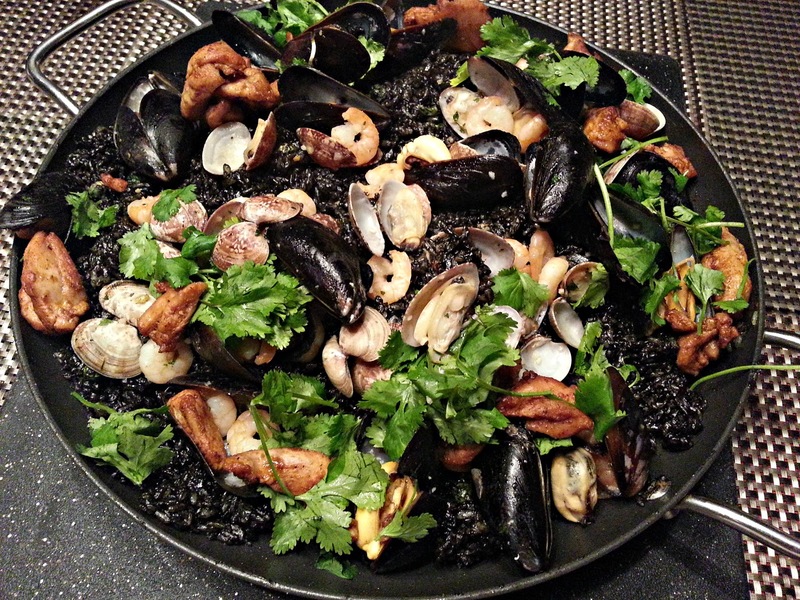 Arròs negre is the correct name for this Spanish dish but it has become popular as Black Paella simply because the rice is black and it is prepared in the same manner as paella. I am a purist when it comes to this dish so I always use real squid ink and not just some heirloom dark colored rice. 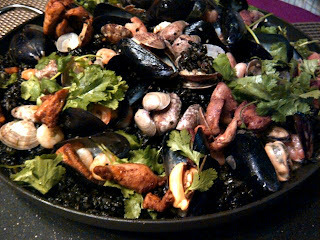 You can cheat with the color but the taste should have that distinctive briny, buttery and rich flavor of squid ink. It was intended for Monday’s dinner but there was a lot of food when I came home. I felt it will be excessive to make an extra dish when there’s so much already on the table; so all my ingredients headed back to the fridge. Last night was perfect and I went on with the task of preparing all my ingredients- rinsed; chopped; minced; boiled whatever needs to be and then the stage is set for this epic dish . 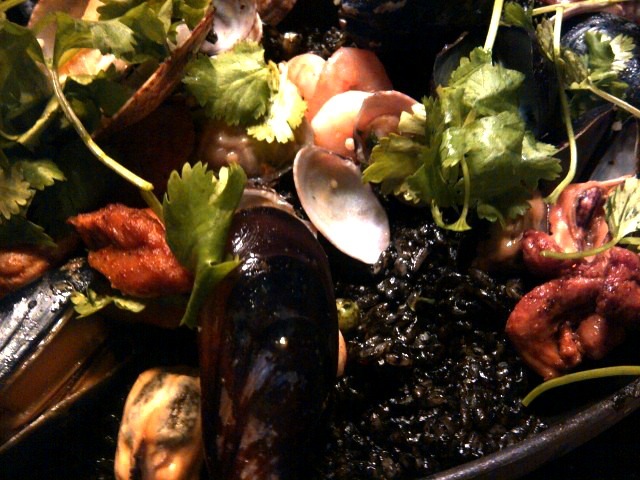 I have made paella so many times in the past with various ingredients. I can say with confidence that I can make this with ease and so far I always receive good reviews whenever I serve it. Still, I took pictures of the whole process for blogging. 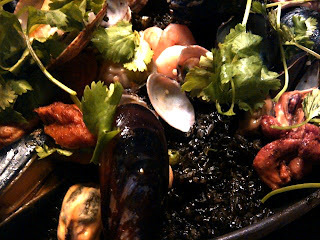 The final shots were at the table where the paella pan is ensconced at center. I clicked and clicked with my camera before I announced that dinner is ready. Then off to my room to upload my pictures and to my dismay realized that my memory card is still plugged in my desktop which means all the pictures I took were not saved! 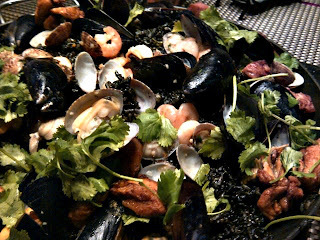 But thank God for smart phones- I took some shots with my Blackberry (which is like instinctive and customary when I bake or cook something as I love teasing my friends with pictures of whatever I make). So I have these pictures at least to document a very tasty dinner. I just wish I had better lighting but I guess I could just do a repeat post in the future with the recipe.